Peach And Rose Gold For A Laid Back London Wedding. Our final wedding for the week is a lovely, relaxed London affair. 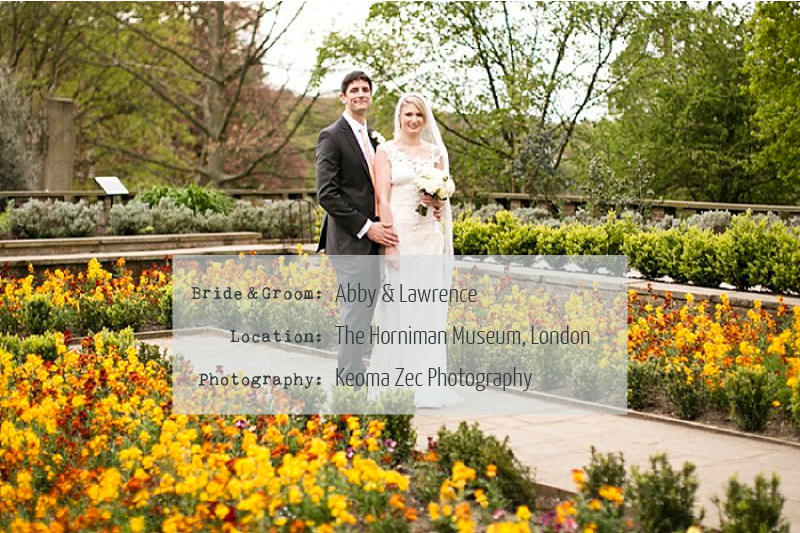 Abby and Lawrence chose the beautiful and elegant Victorian conservatory at the Horniman Museum as their ceremony venue, followed by an informal reception at The Artisan of Clerkenwell, which just looks so cosy and welcoming and like the perfect place to celebrate your marriage with family and friends. I love Abby’s choice of colour scheme – peach and rose gold was always going to be a winning combination and it’s feminine, pretty and delicate and works perfectly with the more masculine dark brown tones of the reception venue. A London wedding wouldn’t be complete without the route master buses and I love that Abby and Lawrence provided their guests with champagne and goodie bags full of treats for the journey.